At their very heart, construction projects are about change. They are usually born of an organization’s leadership team recognizing some evolution of needs within their group. That means different things to different organizations – some embark on a construction project because they are experiencing growth, while others are expanding to offer new services or simply need to update and refresh an existing space. No matter the reason for a project, one thing is true: a construction project offers an opportunity to re-energize an organization and embrace exciting changes. Involvement in a construction project is often at multiple levels within an organization, from the leadership and facilities personnel through to the people who will become a building’s end user. This inherently means that a project will touch the lives of many different people, in addition to offering a time of transition and change for the organization itself. Construction projects can capture the imagination of those who are brought into the process and dare them to envision new possibilities. Particularly in churches and religious organizations, a construction project can be a chance for the congregation to really get involved and feel like they are part of the growth and energy that accompanies a project. Many churches will engage the congregation in milestones during a project by creating events that they can participate in. 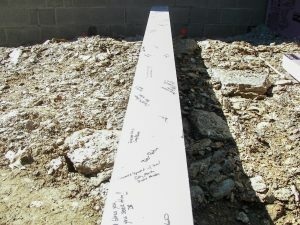 One organization Horst recently worked with, Black Rock Retreat, held a beam signing ceremony and invited people to put their mark on the building – literally – as well as praying over the project. What a wonderful way to invigorate their group and involve them in the process! 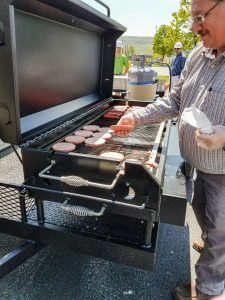 Another way that Horst likes to encourage excitement related to a project is with events like a jobsite luncheon. 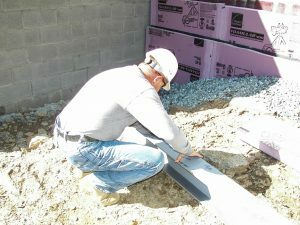 It is a great opportunity to not only thank our employees on a particular project, but also to touch base with the client and subcontractors. It is a relaxed and informal way to take a breather during the construction process and recognize the power of what is happening and how many lives a project is touching. These gatherings always ignite great conversations and fellowship among the project team members. One of our current projects, Ephrata Community Church, has an arrangement of snacks and drinks available to all people working on their jobsite. This hospitality is a unique and generous way of thanking those who are part of the construction process. Not only that, but it encourages a relaxed and friendly atmosphere that invites dialogue. We are always excited to partner on a construction project for obvious reasons, but we are absolutely thrilled when our clients allow us to be part of engaging their organizations. We welcome the opportunity to be part of an inspiring time that allows them to look to the future. It is always our pleasure to work with our clients to create intentional moments of involvement for their organization throughout a project.